Pupil Premium is additional funding given to schools to raise the attainment of disadvantaged pupils of all abilities and make sure that they achieve as well as their peers. 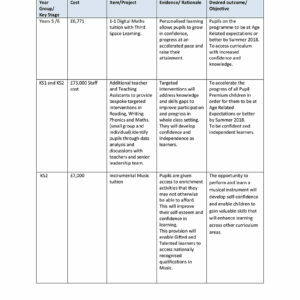 Please read our updated Pupil Premium Strategy for 2017-18 which outlines our rationale for how we use our additional funding to cater for the needs of our pupils. 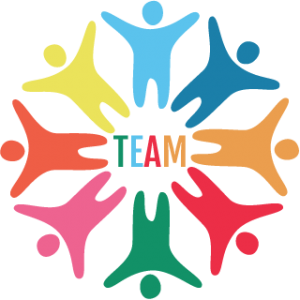 The school is located in an area of high social deprivation and a large percentage of children are eligible for pupil premium.The barriers and challenges that our pupils face are complex and varied – there is no single difficulty faced by all. Some of the barriers can be poor attendance, less support at home, weak language and communication skills, lack of confidence and there may also be complex family situations that prevent children from flourishing. 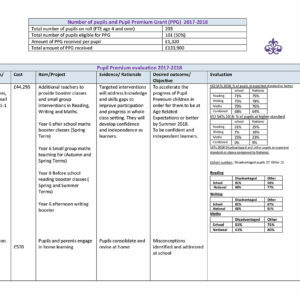 The latest reports evaluate the impact of our Pupil Premium spend in 2016-17, as well as how we plan to use the funding this year. 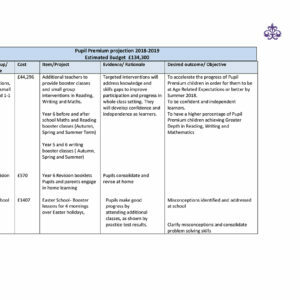 How we spent the Pupil Premium in 2014 - 2015 and this years planned expenditure. 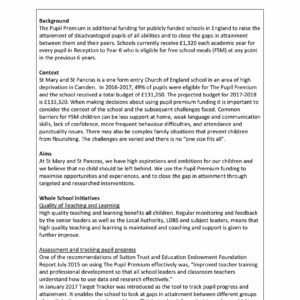 Click here to find out how St Mary & St Pancras spent the Pupil Premium funding for the year 2014-2015 and also how to plan to spend this years funding. How did we spend the Pupil Premium in 2013 - 2014? 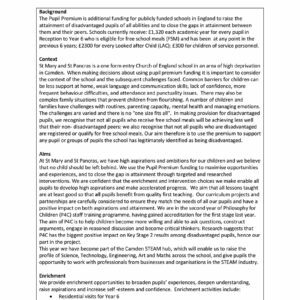 Click here to find out how St Mary & St Pancras spent the Pupil Premium funding for the year 2013-2014. How did we spend the Pupil Premium in 2012 - 2013?